Shopping on the left, shopping on the right and a river of cars in between. 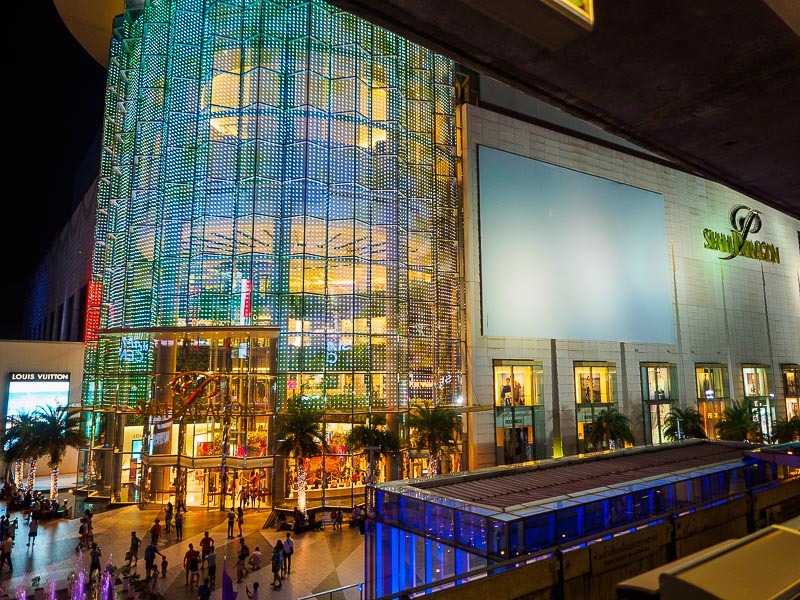 Bangkok and its malls consumes about 40% of all electricity used in Thailand. 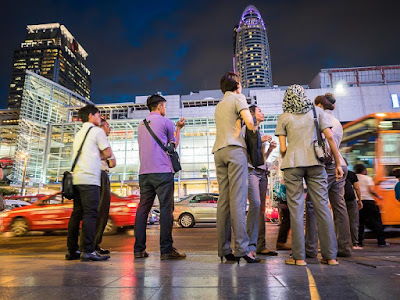 Sometimes it seems like Bangkok is a vast sea of shopping malls. 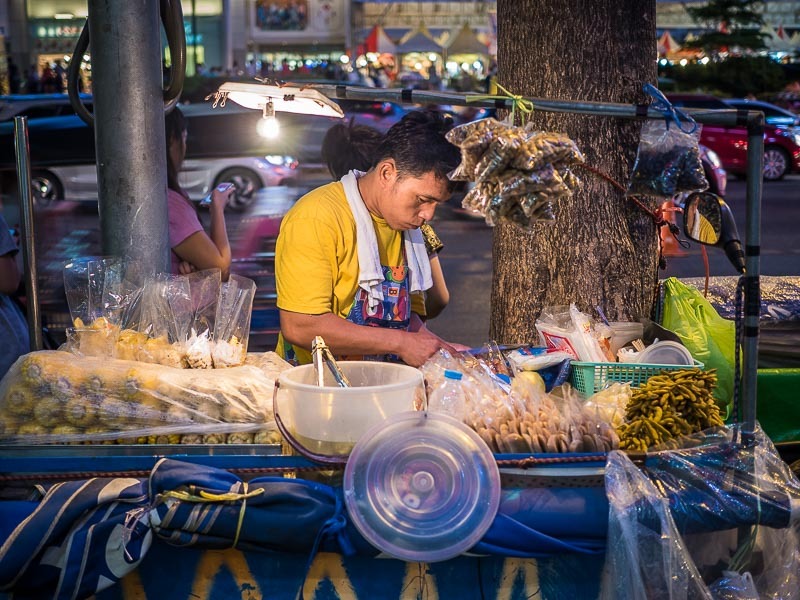 Thailand is stereotypically thought of a country of markets. 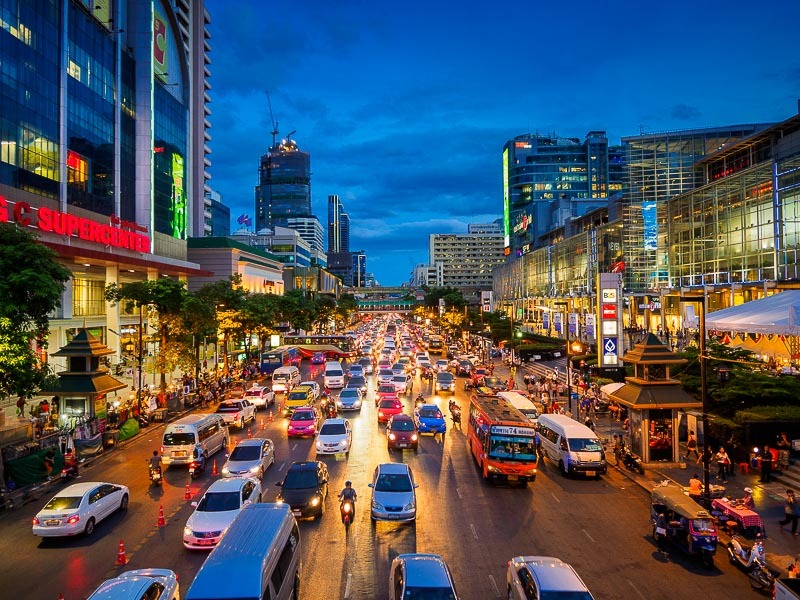 Markets can still be found in Bangkok and, especially, upcountry, but increasingly Thailand, and particularly Bangkok, is a land of malls. There is a mall of some kind attached to almost every Skytrain and MRT (subway) stop in the central city. 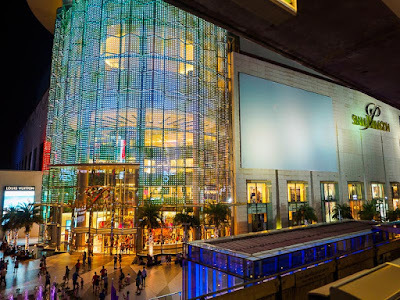 The main entrance to Siam Paragon, one of the most exclusive malls in Bangkok. The glittering lights and comforting air conditioning come at a price. Paragon, one shopping mall, uses almost twice as much electricity as the entire province of Mae Hong Son, along the Myanmar border in northern Thailand. The malls, with bright lights and blessed air conditioning, have a dark side though. They consume massive amounts of electricity. Electricity that originates in Laos and Myanmar (because Thailand doesn't generate enough electricity to meet its own needs). Night becomes day on Ratchadamari Road near CentralWorld, one of the largest malls in Thailand. This picture was made after 19.00 but there is so much light coming off the surrounding buildings that I only needed to use ISO400 to make the picture. The power that comes from afar is extracting a price on the environment. Thailand has an active environmentalist movement and Thais wouldn't accept the kind of development in Thailand that is taking place in Laos. There are plans to build dams along the rivers of Laos, most of which feed into the Mekong River. Downstream countries - Thailand, Cambodia and Vietnam - have expressed concern that the dams will hurt agriculture and fisheries. But Thailand, and Laos' other big neighbor, China, are desperate for the electricity. The construction continues. In Myanmar, villages are being uprooted to build power generating stations to send electricity to Thailand and China. The irony is that most people living in Myanmar and Laos, the source of Thailand's electricity, don't have regular supplies of electricity in their homes. Power cuts, even in Myanmar's biggest cities, are common. Smaller communities have routinely scheduled power cuts. In some towns, power is out more than it's on. A street food vendor near Central World lights up his cart with an electric light while he cooks on charcoal. Similar food carts in Laos or Myanmar are frequenly lit with kerosene or natural gas lamps. This is not a situation with easy solutions. No one in Bangkok wants to go without air conditioning. We try to live responsibly - we use mass transit or walk instead of taking taxis. We shop in local stores rather than at big chain department stores or Amazon. We eat at street food stalls rather than chain restaurants. But when push comes to shove, Bangkok, in all of its unsustainable glory, without the malls wouldn't be Bangkok at all. 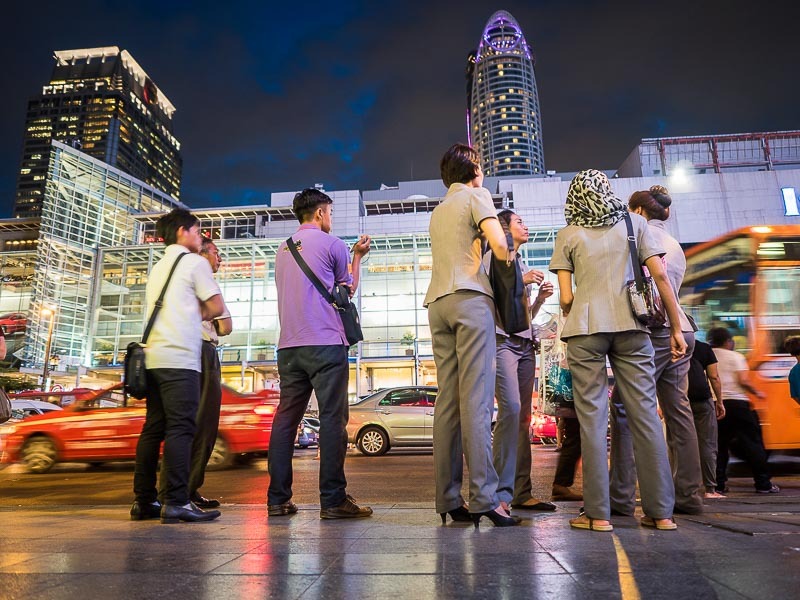 It's up to Thais to figure out how to make this city fit in with the reality of the 21st century environmental concerns.